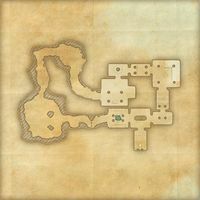 Scorpions and snakes infest this ancient Nedic ruin, making it a perfect location for the Scaled Court's forces to occupy. 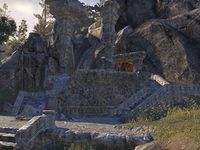 Fearfangs Cavern is a Nedic ruin in Upper Craglorn containing Scaled Court cultists. They use the local scorpion nesting grounds as part of their project for creating mantikora. Additionally, the cultists are searching for information about the usage of nirncrux. Explore and clear Fearfangs Cavern. This page was last modified on 19 November 2018, at 06:18.